Just like buying a car or a new home, buying a new line is a crucial decision for a bakery, which is preceded by a shorter or longer process in which it is important to consider everything essential. Including the unpopular question “Where do you see yourself in 5, 10 or 15 years?”. Especially when it involves an investment to the tune of several million. Based on the above-mentioned requirements and the focus of the whole bakery, an automatic bread line with a continuous proofer for consumer bread, a ThermoStar TopCrust thermo-oil deck oven, the most powerful Asistent Line loading device and an assembly of feeding tables for the production of assorted artisan breads in various weights and shapes were put together after several appointments and hours of calculating by the designers. What is the proofer capable of? But back to the beginning of bread production. 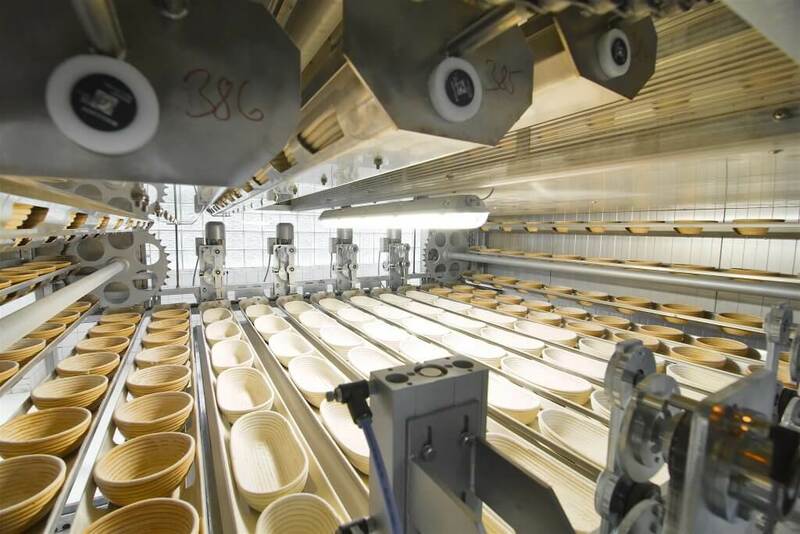 The line starts with a fully automatic continuous proofer, which is equipped with two types of wicker baskets – namely a round one for breads weighing 300 – 800g and an oval one for breads weighing 300g – 1200g. The breads are delivered to the line through two loading devices for both oval and round bread. The tipping of the dough is fully programmed, which makes the dough loaves fall onto the feed table exactly perpendicular without their deformation. We can also set the angle and swivel speed of the hanger, which fully simulates the manual work of a skilled baker. The correctly configured proofer enables the production of a wide range of bread from pure wheat to 80% rye bread. The feed table which the loaves are tipped onto has a pneumatic lifting that ensures tipping from as low a height as possible. The proofer can also be used for the rising of very loose dough. Like everything from us, there is also a continuous proofer controlled by MultiControl software, which connects the individual elements of the line, in laymen’s terms: “Everything speaks one language”. The proofer is fully automatic according to the desired setting and is controlled on the main control panel where the operator can easily check which hangers are filled with dough, thanks to the integrated chip identification in each of the hanger baskets. The assortment can be easily rotated, but with good planning of dough preparation and a minimum quantity in the assortment (100-500pcs). The proofer is heated by hot water from waste heat via the Ekoblock. The required moisture is replenished by steam from the central distribution. For the optimum distribution of temperature and humidity, air circulation is carried out by an air-conditioning system, including cooling, which customers will especially appreciate during the summer months. The rise temperature is now from 30 to 35 ° C at 45-55 minutes. After rising, the dough loaves are moved by the feed table to the damping table and to the Asistent Line loading device, which places everything into the individual ovens fully automatically. And now to the heart of the bakery itself – the ovens. As stated in the introduction, to meet the stated goal of improving quality, we recommended thermo-oil technology, which is justifiably a global trend. This is mainly due to the fact that thermo-oil baking not only affects the quality of bread from the point of view of the uniformity of baking, a perfectly baked crust and a smooth crumb, but also in terms of the final energy bill. The desired performance of the bakery will be met by two ThermoStar 39/9 thermo-oil ovens with the newly introduced TopCrust technology, which will reduce the cooking time by up to 15%, depending on the product type. The nine-deck oven design contains three independent baking circuits that are important for a wide range of baking production as well as its flexibility, which is the right path to success in today’s bakeries. The ovens are equipped with the unique TopCrust technology, which shortens the baking time. For example, we bake a classic 1,200g bread loaf in 40 minutes thanks to program-controlled steam extraction from ovens, allowing for the easier extraction of excess heat and baking the bread through well without having to open the door during baking. Just like the continuous proofer, the ovens are controlled by the common MultiControl software, in which all the desired recipes are preset. The operator just selects the correct product on the control panel and confirms simply by pressing the Enter button, which significantly reduces the risk of human error. Deck ovens also include the Asistent Line loading device along with the feed tables. Everything works fully automatically. 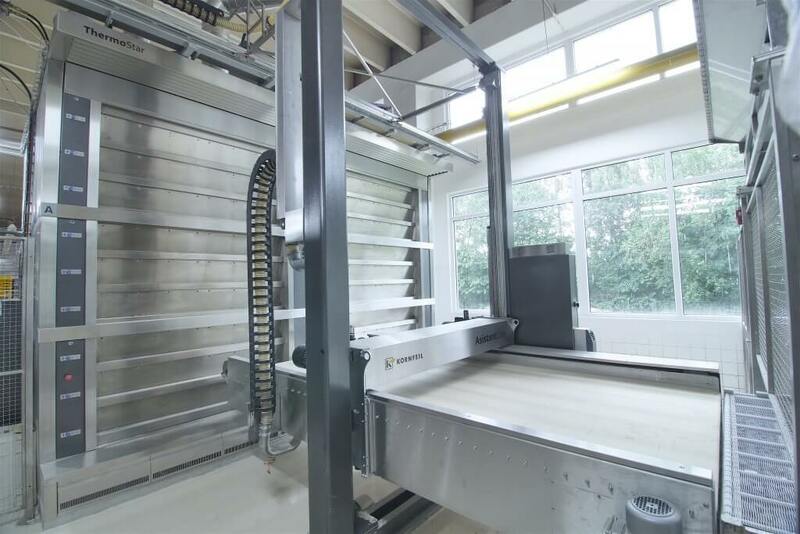 After baking, the bread is transported using a conveyor system via a slide, and all products are then automatically counted in the last component of the automatic line, namely a bread counter that records the number of pieces of baked bread and the assortment. Thanks to the newly installed EkoBlock, the bakery uses almost all waste energy that is converted into hot water, which we can use to heat the proofer or afterwards for cooling. Pecud has thus joined the hundreds of other bakeries that not only help protect the environment, but also make effective use of the surplus energy that each bakery has. 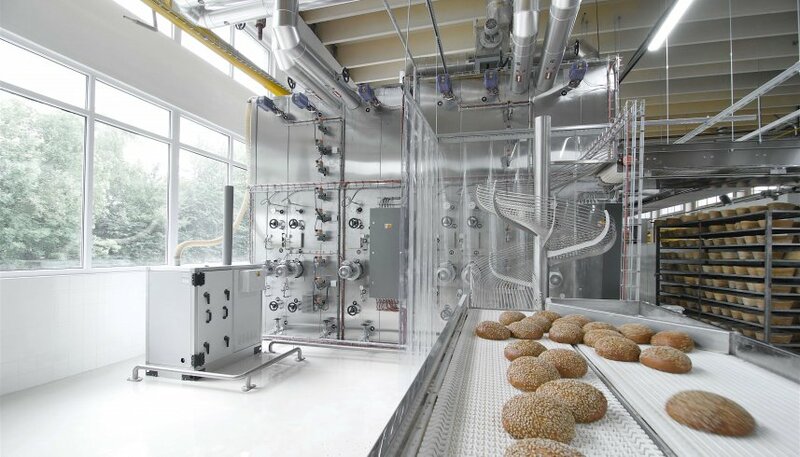 Moreover, since the installation of a new bread line reduced the energy demand of the entire bakery compared to the original technology, and not only thanks to the EkoBlock, Pecud applied for an EU subsidy from the Energy Savings Program, where it succeeded and received a subsidy of 30%. The first proof that the change in technology is paying off for Pecud and for us is the winning of the title Bread of the Year 2018. Congratulations and thank you for your trust! There’s no other way to start out than to say congratulations on winning the Bread of the Year title. I’m sure you were very pleased by the award. Why do you think your product beat out everyone else? Thank you, we won Bread of the Year in the Consumer Bread category we for the first time in its 24-year history. Our whole team lives for the competition every year and probably the most this year, due to changing out the bread line. Clearly, therefore, we need to thank all of our employees who contributed to the victory. If we look at our previous results in this competition, we can see that we gained the fewest points compared to the winners in the bread crust and appearance categories. The outcome irked us each time, so we told ourselves that we would go all out and fix it at the core by changing the ovens and proofer. In recent months, your bakery has undergone modernization. What was the driving force behind this change? Our bakery was put into operation on 19 September 1984, since then, of course it, has undergone a number of changes, whether building or technological. This year, the bread line would have been in operation for 35 years. That’s why we prepared a bread line replacement project for about two years. At the beginning of this year, the winner of the tender was signed. We do not believe in Friday the 13th, so we started the actual exchange. The exchange lasted only 16 business days. The investment in the new bread line was almost CZK 21.5 million. The EU contributed 30% of the energy saving investment to the exchange. What made you go for thermo-oil? We know that thermo-oil is a global trend but does Czech bread which doesn’t require such a high temperature, also require such power? Due to the breadth of the assortment and the quality of bread baking on cyclo-thermal ovens, a clear choice was made for the thermo-oil option. The only issue for us was from whom and what ovens and proofer we would buy. In the end, we purchased Kornfeil thermo-oil deck ovens, including proofers, which give us the maximum flexibility. We can put a different type of bread in each deck, with 42 oval or 63 round loaves. The new line also included a continuous proofer from the Kornfeil Industry workshop. A continuous proofer always means a certain limitation in the assortment, did you have to phase any products out of production? No, we didn’t have to phase any products out; on the contrary, we can now produce almost the whole bread assortment fully automatically. The combined proofer enables the simultaneous production of both round and oval bread, ranging from 300g to 1200g. I know it’s premature to evaluate the efficiency of the whole bread line, but what kind of savings do you expect in terms of energy costs? We launched the line for trial operation at the end of April. We have been producing on the new line for the whole of May. However, it’s too soon to talk about the obvious savings. According to the energy review, there should be a lot of savings which should ensure a return on our investment in an 8-year horizon.